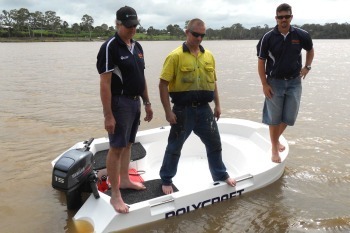 Since pioneering the manufacture of polyethylene powerboats in Australia back in 1998, Polycraft has delivered continual product improvement as advancements in materials and manufacturing processes have become available. 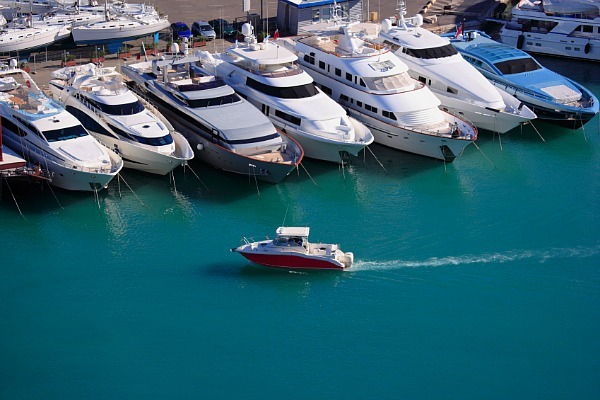 This product improvement has just taken a massive leap forward with Polycraft obtaining exclusive rights to a state-of-the-art resin called Aquathene Max HD which will eventually see all Polycraft boats lighter, stiffer and more durable than ever. The surface finish is also a lot smoother than the predecessors. Polycrafts have always been known for their stability, strength and durability and about the only criticism was they were a little heavy for their size when compared to aluminium. Well that criticism has now been answered thanks to Aquathene Max HD which will result in Polycrafts being similar weight to aluminium boats without compromising stability or durability. The ever popular 3m Tuff Tender is the first model in the Polycraft range to receive the Aquathene treatment and has shed an amazing 22kg. This great little dinghy now weighs just 68kg, can still accept a 15hp outboard and comes with a four year warranty. In comparison the Quintrex 3.1m Dart weighs 61kg but can only accept an 8hp outboard and is only covered by a two year warranty. Even better still, the new technology has allowed a price reduction. The old 3m Tuff Tender had a recommended retail price of $1885 but now they are just $1650 for the base model or $1850 with in-built storage. As has always been the case the 3m Tuff Tender makes a great tender for a larger boat as the polyethylene will not damage your big boat like a tinnie can and is far more durable than an inflatable. This particular model is also popular with the commuter and hire fleet markets, but the real winners with this weight reduction is the caravan and camping market. Two people can easily lift the Tuff Tender making it possible to load onto a camper trailer, or it can also be used with a boat loader to go on your vehicle. The polyethylene is far less likely than aluminium to damage your vehicle or roof racks and will be much cooler to handle after sitting on the roof of the car all day.